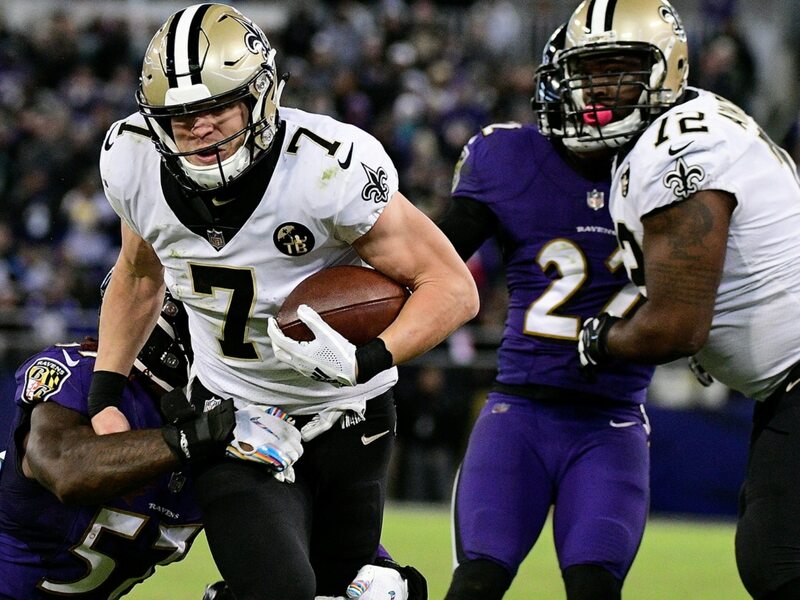 When Taysom Hill is in the game for the New Orleans Saints, there’s a good chance he’s going to make a run for it. Early in Sunday night’s game against the Minnesota Vikings, he threw it instead, burning Minnesota’s defense on a 44-yard pass deep down the middle to Michael Thomas. A few plays later, the Saints got on the board first when Alvin Kamara ran it in for a touchdown.